What’s the best way to get interior design help? Whether you are a project-loving DIYer or someone who appreciates more personal assistance, there are a growing number of interior design services and tools that bring dream designs to life. The Decorilla team is lucky enough to work with top designers from around the country, but we also work hard to scout out the latest tools and ways to get help. So, where to start? Here is our comprehensive list of the 5 best interior design service options. 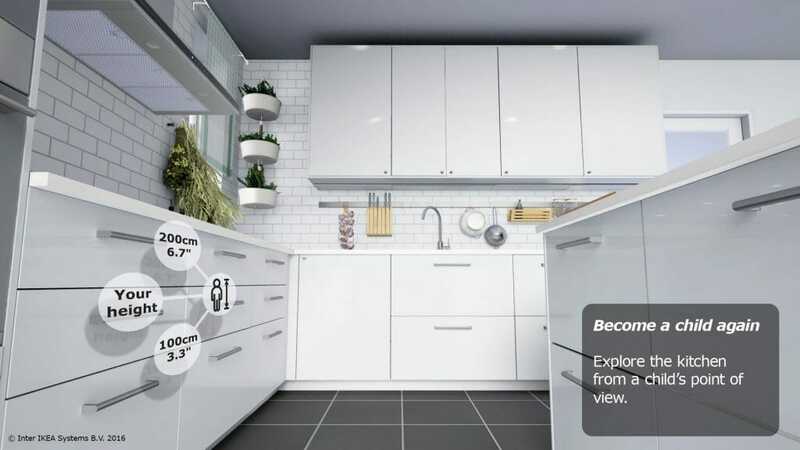 Our digital age has brought us countless tools that have significantly changed the way we access interior design help. For one thing, online sites and smart phone apps have brought the design process to our fingertips. For example, taking measurements has never been so breezy than with MAGIC PLAN , an app that computes distances by analyzing a snapshot which is such a great time saving tool. Another useful app is COLOR SNAP. Inspired by the need to identify colors found in art work, accent pillows or other elements that help direct a room’s design, Sherman Williams has simplified the quest for the perfect color palette. 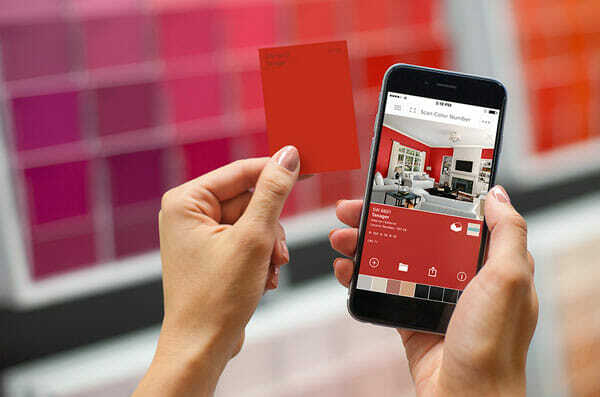 Color Snap analyzes any photo on your smartphone and matches it with their paint shades. Using the 1,500-shade inventory to apply to virtual rooms is a great tool for interior design help. Measurements and color selection mean more when we’re highly inspired. 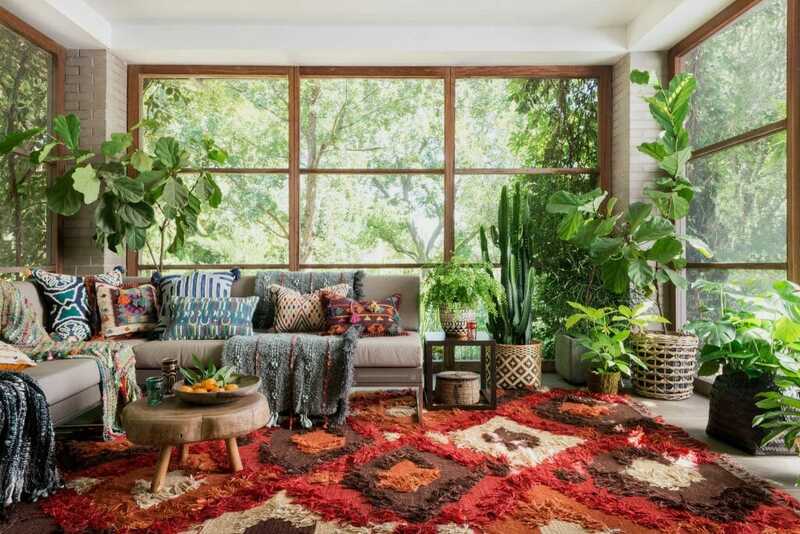 With a database of more than 5 million high-res home images tagged and organized according to style, room, and location, HOUZZ is the dream design app for interior design inspiration. Browse, search, and save favorites to your “Ideabook” which can easily portray your design preferences. Much time can be spent learning these programs and apps, but they are accessible and have money saving potential… perfect for the tech savvy with an eye for design! These and many other online room design tools, offer both the inspiration and guidance to set your design in motion. 3D rendering by Decorilla online interior designer, Mladen C.
3D rendering by Decorilla online interior designer, Taron H.
Having 3D renderings and VR to visualize designs before making any shopping commitments is not only a unique experience, it’s also one of the best money saving aspects of this type of comprehensive interior design service. It allows clients to compare prices, shop on their own timelines, and gives them access to designer trade discounts at popular stores such as West Elm, Wayfair, Restoration Hardware and many more. Recent online interior design client, Joan, shared the benefits of completing her studio design virtually with CBS. While online interior design opens up possibilities in selecting a designer, there are also benefits in going with a local professional. Having an interior designer at close proximity allows clients to see and touch proposed colors and finishes. It is also helpful when unexpected needs come up in a project. Customers benefit from a local designer’s face-to-face interactions and have a chance to save money by finding the fresh expertise of local up-and-coming designers as well. Online directories like Home Advisor and crowdsourcing sites like Thumbtack are helpful in finding local interior designers. Review sites like Yelp and Houzz offer valuable feedback and before & after images from previous customers. 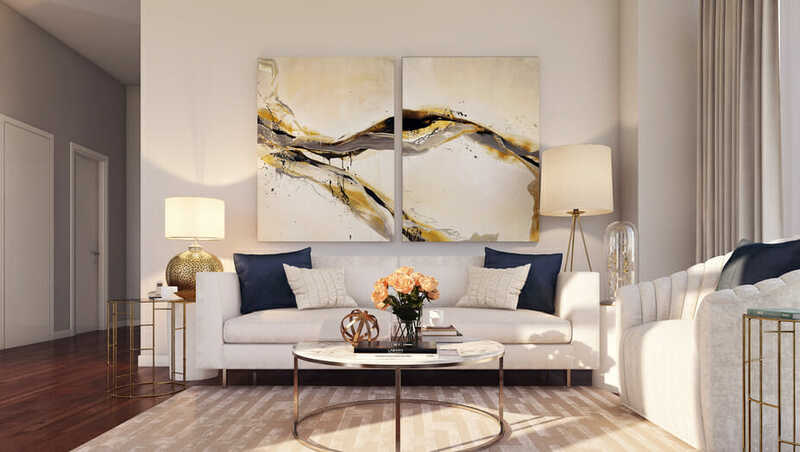 If you’re looking for home staging help, be sure to check out this helpful article on home staging mistakes to avoid too. For those of a more adventurous spirit, this New York Times article encourages hiring interior design students who many be willing to take on your job and receive credit towards a degree. 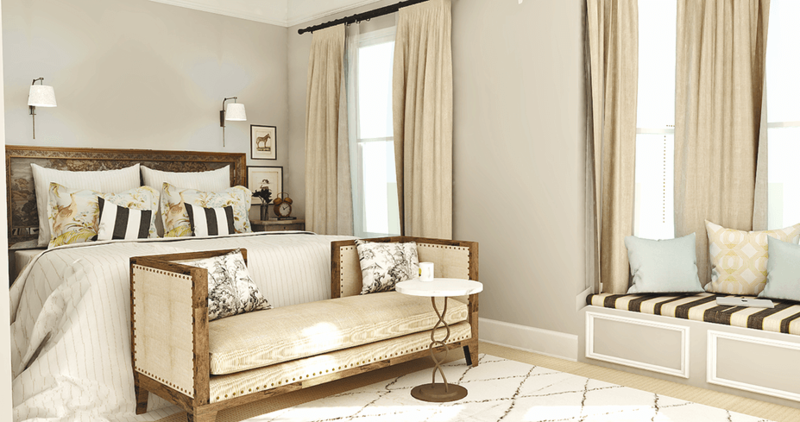 Love the look of Ethan Allen, Restoration Hardware or West Elm? The good news is that more and more furniture stores offer free interior design consultations, with minimum purchase required. 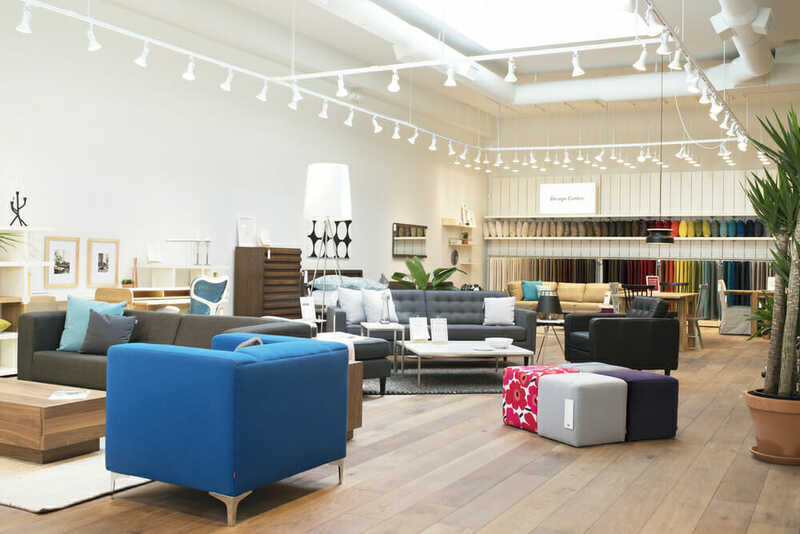 Beyond furniture, interior design help from these stores include accessories and color suggestions in their plans for client homes. Not all stores send out qualified interior designers; some send out employees who know the merchandise and have good design sense. This is helpful in decorating a space, but projects that require more in scope like bespoke pieces, built in cabinets, or kitchen/bath renovations may require more expertise. 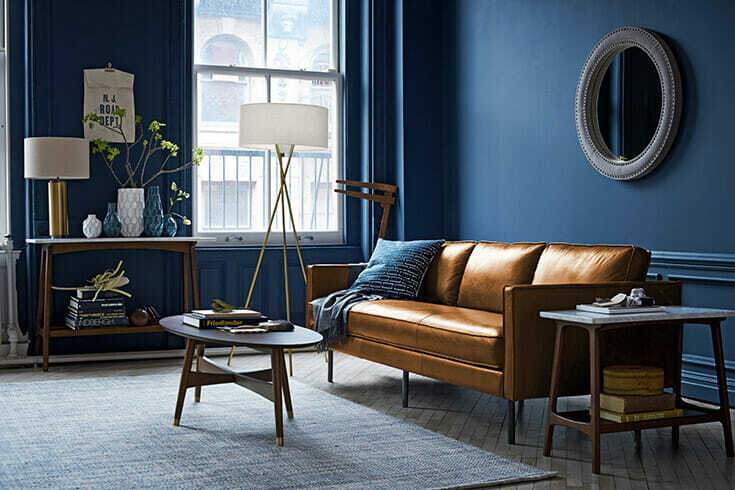 There may be concern that getting interior design help from your favorite furniture store will result in having your space look like a catalog page, but many stores have partnerships and sister stores (West Elm’s parent company is Williams-Sonoma) which opens up the inventory of pieces to select. For a more hands-on approach, becoming educated in interior design may be a wonderful way to get the help you need! Begin with inspiration. Sites like Houzz and Zillow Digs offer the mother lode of design ideas where preferred ones can be organized and shared. Instagram is a great way to get daily eye candy on your phone. Some of our favorites to follow include: marieflaniganinteriors, pencilandpaperco, jjnorrisinteriors, and em_henderson. Take things a step further with DIY decor projects like these or by watching how to videos from design experts. Subscribe to interior designer, Rebecca Robesson’s, Youtube channel of Design Sessions or check out blogger, Justina Blakeney’s series of interior design help videos. Feel drawn to becoming a designer yourself? Why not? There are many affordable online interior design programs that will have you not only designing for yourself but potentially other too. Whether using an design app, checking out a DIY video or working with a local or online interior designer, these top interior design service options will provide tools and tips to create the beautiful designer spaces that you’ll love. 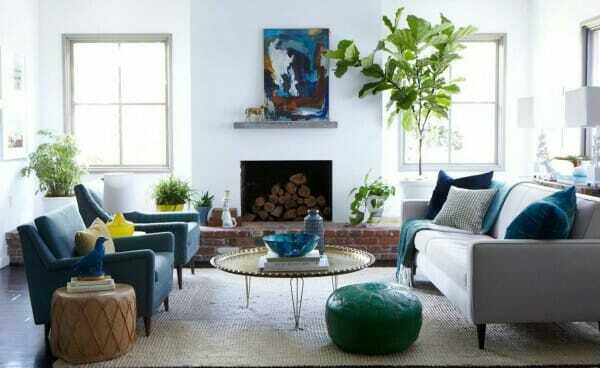 Written by interior designer, Christine M.